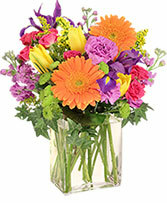 We can also do a dozen tulips in a vase for the lowest price. 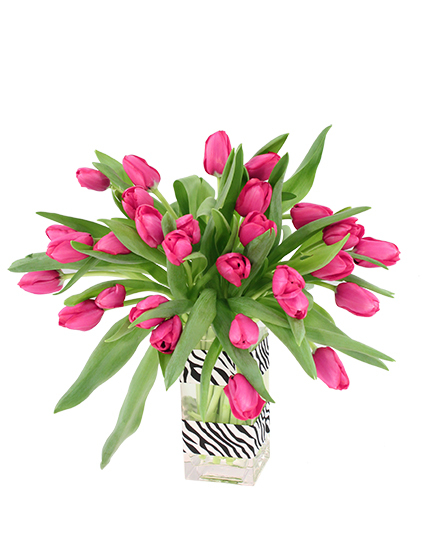 The mid price will have 2 dozen tulips and the highest price (shown) has 30 tulips. 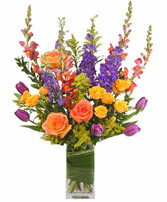 Please list first and second choice colors for the tulips!. 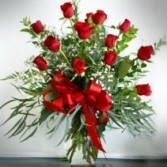 Ribbon will vary based on availability and color of flowers.